"As within, so without." 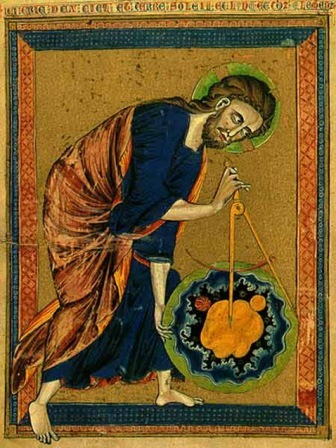 The universe is mathematical formulas, geometric shapes and numeric symbols: The work of a Superior Mastermind. Out of naught came ought, God thought. Heptad. (Greek) from heptas. Groups of seven abound; seven days in a week, seven colors in the visible spectrum, seven notes in the music scale, seven chakras, seven continents, seven wonders of the world, seven days of creation: Seven is the Sabbath Day, the number of completion. Numbers also represent notes on the music scale: The language of the universe is sound: Music! "Irrational" numbers are infinite and transcendental. Pi is the Greek symbol used to represent a constant: The ratio of the circumference of a circle to its diameter, approximately 3.14159. Pi has been calculated to over one trillion digits beyond its decimal point! Phi Ratio. "The divine proportion." Greek mathematicians first studied what we now call the golden ratio because of its frequent appearance in geometry. The phi ratio has held a special fascination for at least 2,400 years. In geometry, a golden rectangle is a rectangle whose side lengths are in the golden ratio. 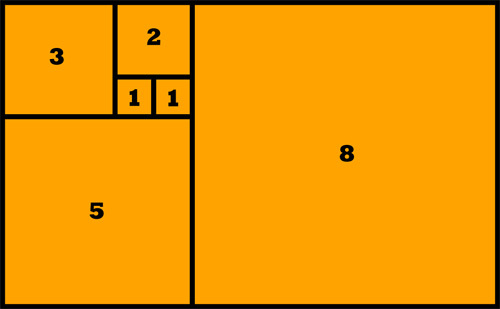 The Golden Rectangle, according to the phi ratio, is used in architecture since the ancient Greeks. 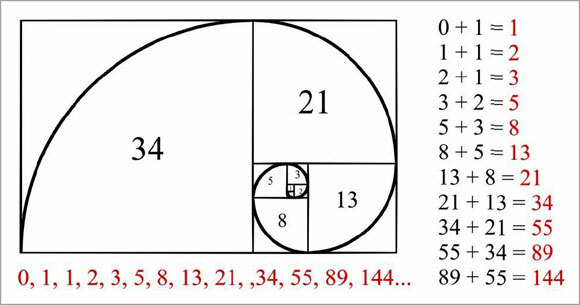 The golden spiral is a logarithmic spiral whose growth factor is φ, the golden ratio: That is it gets wider (or further from its origin) by a factor of φ for every quarter turn it makes. A pattern seen occurring throughout the universe, from the shape of galaxies and hurricanes to a shell picked up on the beach. The following animated piece by Disney artists is a rare treasure. A set of complex numbers which remains bounded in absolute value; a field first investigated by the French mathematicians Pierre Fatou and Gaston Julia at the beginning of the 20th century. This fractal was first defined and drawn in 1978 by Robert W. Brooks and Peter Matelski as part of a study of Kleinian groups. On 1 March 1980, at IBM's Thomas J. Watson Research Center in Yorktown Heights, New York, Benoit Mandelbrot (1924-2010), first saw a visualization of the set. Mandelbrot set images may be created by testing the complex numbers for each sample point c, into infinity. 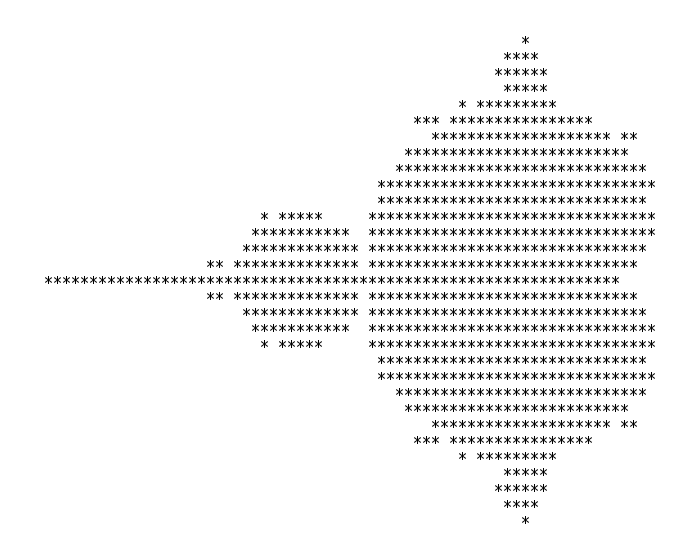 Zoom sequence of the Mandelbrot set. The Mandelbrot set has become popular outside mathematics both for its aesthetic appeal and as an example of a complex structure arising from the application of simple rules. It is one of the best-known examples of mathematical visualization. Treating the real and imaginary parts of as image coordinates on the complex plane, pixels may then be colored. Could our universe be fractal? Benoit Mandelbrot studied the parameter space of quadratic polynomials in an article that appeared in 1980. The mathematical study of the Mandelbrot set really began with work by the mathematicians Adrien Douady and John H. Hubbard, who established many of its fundamental properties and named the set in honor of Mandelbrot. The mathematicians Heinz-Otto Peitgen and Peter Richter became well known for promoting the set with photographs. The cover article of the August 1985 Scientific American introduced a wide audience to the algorithm for computing the Mandelbrot set with an image. The Mandelbrot set became prominent in the mid-1980's as a computer graphics demo, when personal computers became powerful enough to plot and display the set in high resolution. There are many programs used to generate the Mandelbrot set and other fractals, some of which are described in fractal-generating software. These programs use a variety of algorithms to determine the color of individual pixels and achieve efficient computation. I was very happy to search out this internet-site.I wanted to thanks in your time for this wonderful read!! I definitely enjoying each little little bit of it and I have you bookmarked to check out new stuff you weblog post. Hiya! 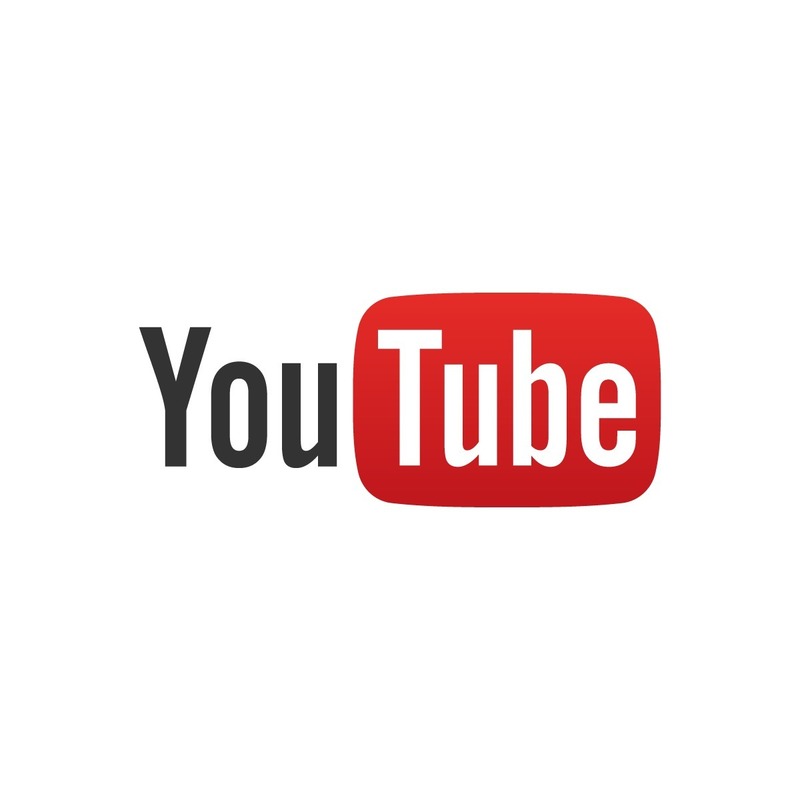 I just wish to give a huge thumbs up for the good information you could have right here on this post. I shall be coming again to your blog for more soon. I’m typically to blogging and i really admire your content. The article has really peaks my interest. I’m going to bookmark your website and maintain checking for brand new information. Thank you a lot for giving everyone a very spectacular possiblity to read from this blog. It is often so useful and jam-packed with a great time for me and my office mates to visit the blog the equivalent of thrice in one week to learn the newest items you have got. And indeed, I am just usually contented considering the powerful hints you serve. Certain 2 points in this article are truly the finest I’ve ever had. I simply wanted to send a brief word so as to appreciate you for all the great solutions you are writing here. My time intensive internet investigation has at the end been rewarded with beneficial tips to write about with my relatives. I ‘d declare that most of us visitors are unquestionably lucky to dwell in a useful site with many wonderful professionals with great guidelines. I feel very blessed to have used your entire web site and look forward to really more brilliant times reading here. Thanks again for a lot of things. After examine a couple of of the blog posts in your website now, and I really like your manner of blogging. I bookmarked it to my bookmark web site list and can be checking back soon. Pls check out my website online as properly and let me know what you think.